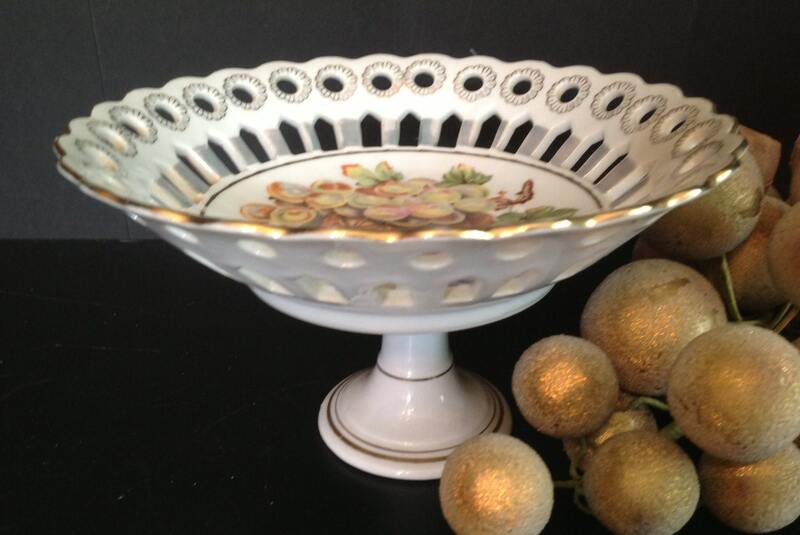 vintage ceramic footed compote gold trim and fruit design "JAPAN Royal Halsey very fine"
Offered is a footed compote. 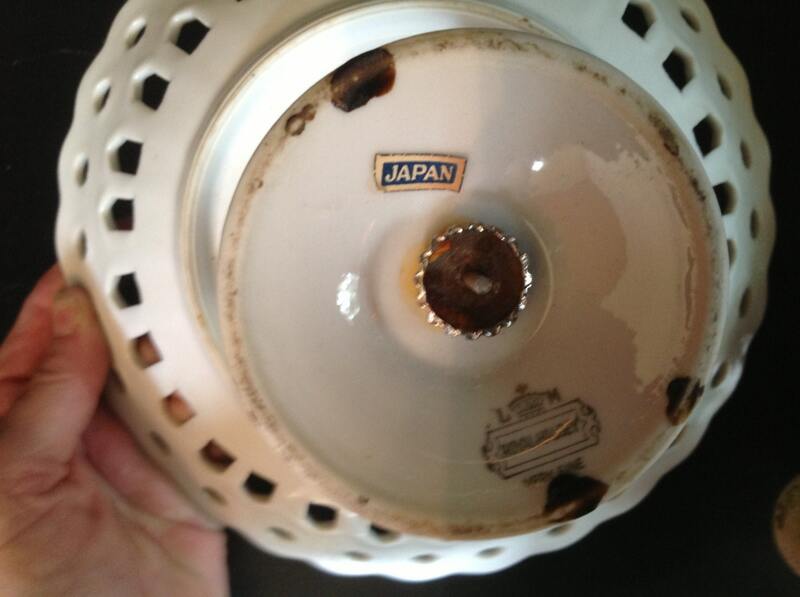 It is marked "JAPAN L. M. Royal Halsey very fine". 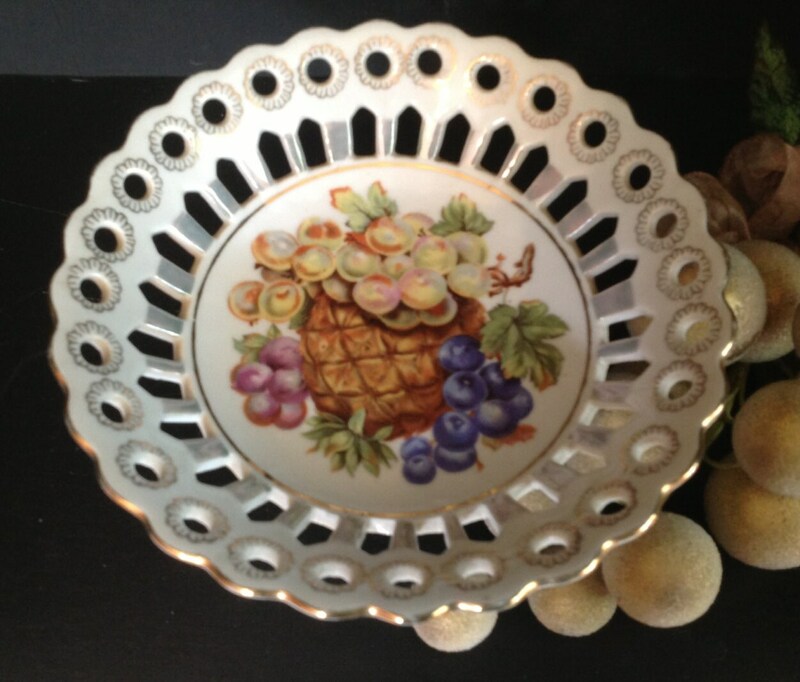 The design features a grouping of Pineapple and grapes. The edge has beautiful cut outs that look like eyelet. 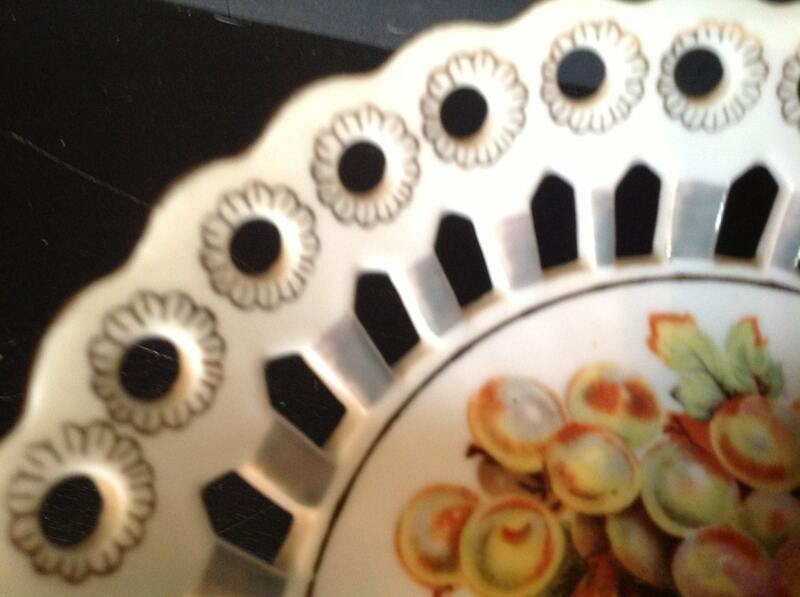 They are detailed in gold trim as is the edge and the base. I combine shipping. Shipping estimates are high to cover the wester US. I reimburse for shipping overages of $1.00 or more. I recycle packing materials.